Using the kit I had bought off fleebay, I hooked the Pi up to my LCD TV through the scart. The SDCard that came with the kit was pre-installed with Debian “wheezy” 6.0. Personally I didn’t get on with it too well. The Pi might not have the most powerful CPU on the block, yet under “wheezy” it just seemed awfully sluggish, especially compared to Lubuntu running on the Nomad or the small 3.5″ fanless VIA C3 600mhz board I have. Visiting the Raspberry Pi Foundation’s website, you can find a wealth of information. The forums are a great source for bug fixes and general chitchat about the Pi. There is also a download section, which contains all the current distros availible for the Raspberry Pi. The foundation have several versions which they recommend users download. Atm Raspbian seems to be the OS of choice for most Pi users, as it offers good all round performance. So I downloaded that. The main storage medium for the Pi is it’s SD card slot. Most people opt for either 4 or 8 GB capacity. I chose to go with 4GB as it came with the kit I bought. One thing to note before downloading any image files, is that you will need to write the image to the memory card. 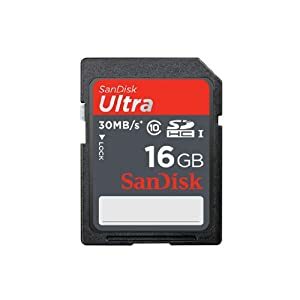 Do NOT COPY the file directly to your SD card, it wont work! If you’re using GNU Linux, you will need to use the UNIX tool “dd”. If you’re using Windows, Win32DiskImager, the offical RPi guide can be found here. For convienence I am reposting it here as well, so as to keep as much of this guide centralized. Extract the image file 2012-07-15-wheezy-raspbian.img from the downloaded .zip file. Extract the executable from the zip file and run the Win32DiskImager utility. You may need to run the utility as Administrator. Select the drive letter of the SD card in the device box. Be careful to select the correct drive; if you get the wrong one you can destroy your computer’s hard disk! In Windows the SD card will appear only to have a fairly small size – about 75 Mbytes. This is because most of the card has a partition that is formatted for the Linux operating system that the RPi uses and is not visible in Windows. I’ve not had chance to try dd through Linux, only Win32DiskImager on Windows. The process could not be any simpler. Using the prepared guide, writing the image to the SD card was a breeze. There are some aspects to the RPi, such as the community, that truly are impressive. A lot of credit has to go to those anonymous contributors, who write up the guides such as the one above. Yet another arcade classic, developed and published by Namco in 1982. 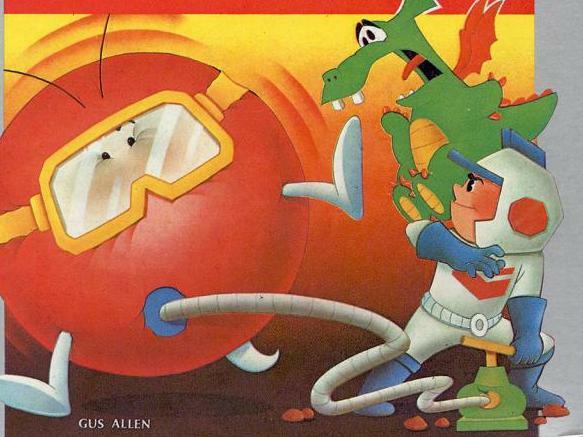 Digdug was ported to many consoles at the time and is still a favourite of mine to this day. I fondly remember playing this on my Atar VCS 2600 in 1988. The objective of the game is to dig your way underground, seeking out pesky monsters and destroying them using your trusty hand pump. Dont get to close as the monster will kill you. Make use of rocks to eliminate monsters for extra points! How are you all doing today? Just a quick heads up to on the write up i’m doing the for RPi. Hopefully will have the third installment uploaded from the Amstrad NC100 and posted later today. As I can ony go on the daily stats, it looks like some of you are finding the guide interesting thus far. Keeping with the usual theme of BMV, I plan on walking through the steps to getting a working system and how to tweak various parts of the RPi, so that it looks and works a little better. I will also be doing a brief review of the wireless Apple keyboard, which I’ve been using over the past few days. As a fan of vintage Macintosh hardware, it’s not often something modern from Apple gets me worked up. So last week a friend asked if I’d be interested in looking at Mame on the Raspberry Pi. As I didn’t yet have one, he graciously lent me one as he is already busy making Pibows, a custom acrylic case for the Pi PCB, he simply doesn’t have the time to spare looking at getting Mame up and running. Never one for turning down a challenge nor the opportunity to play around with a Raspberry Pi. I began digging around on the net, finding out as much as I could about running arcade games through Mame on the Raspberry Pi, not to mention how to set the darn thing up. I had read that the primary OS was Linux, a Debian distribution to be precise called Raspbian. Perhaps playing around with Lubuntu on the Nomad for all those months was going to pay off. 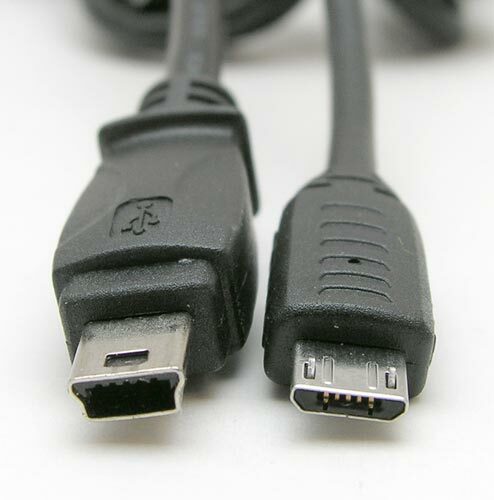 Left – Mini USB, Right – Micro USB – Becoming the standard for many devices. When I was handed the Raspberry Pi, it came in a tiny white box. Inside you got, the PCB in an antistatic bag and a piece of paper telling you that your device meets all the right EU regulations. To keep costs down, Pi’s are not sold with any accessories, the idea being you buy them separately. There’s also a good chance you own some of the parts already. The Pi is powered via a standard 5 volt – 1Amp micro USB, which is used on many modern mobile phone chargers. 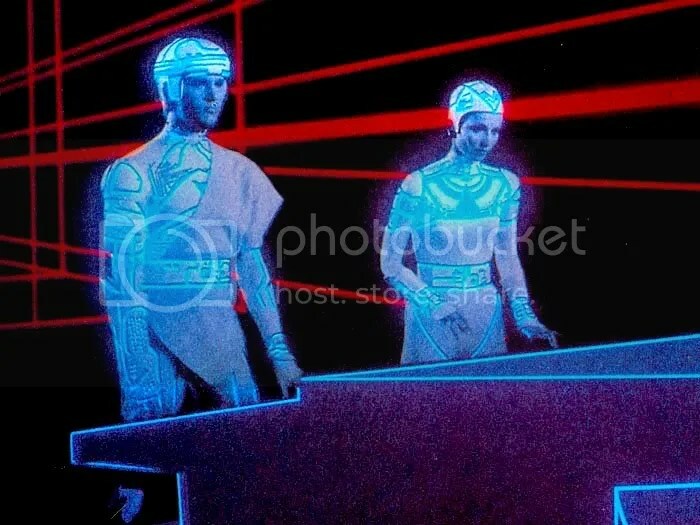 As for video, you can choose to go old school analog and use the composite RCA port (phono), just like back in the day with the ZX Spectrum and C64.You will need a phono to phono cable or if you want to get techie, a male to male RCA cable for this. The picture isn’t amazing and on a CRT it’s headache inducing. An LCD does give better results, if a little blurry. Alternatively you can use the more modern HDMI port, which will give a much better digital picture and is compatible with most modern flat panel televisions. If you own a flashy new telly, you might have a spare HDMI cable laying around. If not you will need to decide which method of display your going to use. For storage you will need to buy a class 4, 4GB SD memory card or bigger. The Pi foundation advise against using none branded memory cards, such as the cheap one’s you find on ebay. The Pi needs a good quality card for the access speeds. Otherwise you might encounter problems running your OS. For Sound, any set of speakers should work fine with the Pi. 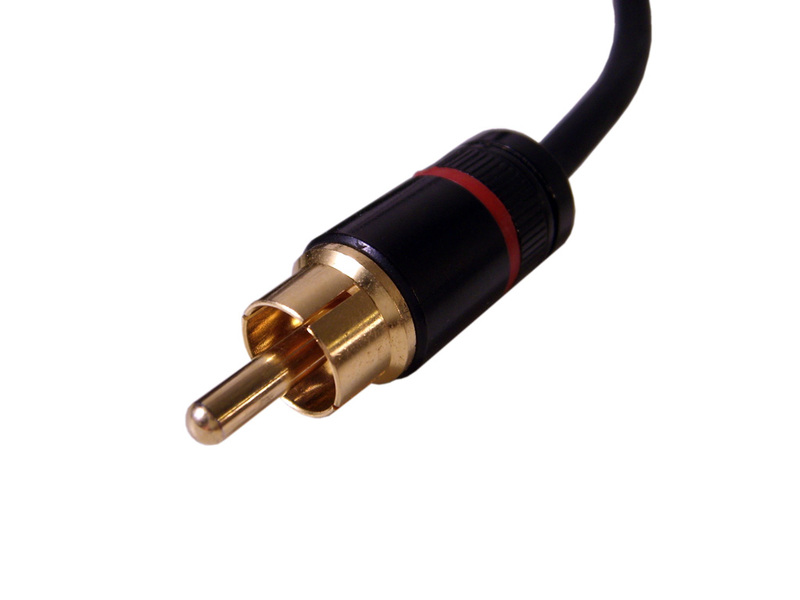 Alternatively a 3.5mm audio jack to phono cable should allow you sound through you TV. If like me, you don’t own anything with HDMI, you will be stuck with using composite. Unless you buy a HDMI to VGA converter, which will allow you to hook the Pi up to any PC VGA monitor. I found one on ebay for £8, it’s yet to arrive in the post but with some luck it will make the Pi more useful. First thing I have to say is don’t use the Pi on a CRT television for any length of time through composite. If you’re using the terminal your might be fine. However myself and a friend found booting into Raspbian to be almost unbearable. The picture was extremely flickery, like Amiga 1200 Pal Hires Laced flickery! Unless you like eye strain and headaches, I strong advise against using this setup for anything other then running commands via the terminal. You might find on ebay that some sellers are offering a scart cable for the Pi, this is simply a composite output to through the Televisions scart connector, it does not alter the picture from composite. This is possibly the only good way to use the composite display. LCDs don’t suffer with flicker like CRTs. While the image might be a little blurred, it’s a lot less harmful on your eye’s then the alternative. Luckily most LCD televisions come with composite for hooking up such things as consoles, video camera’s ect. BMV Recommends this method to those geeks on a budget, who cant afford a new TV or a HDMI to VGA adaptor. 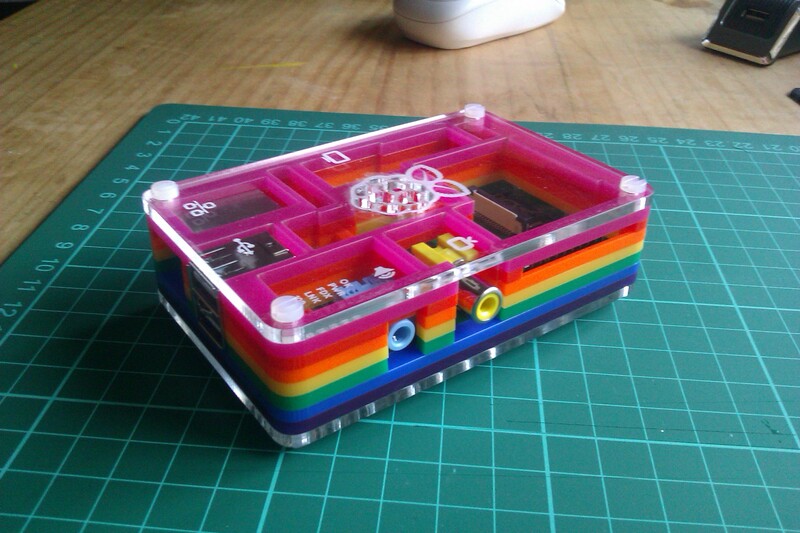 While I’ve not used this means of display myself, I have seen one at the Pibow workshop and it looks great. Pretty much the same display as modern computer with a monitor. If you buy yourself a HDMI to VGA converter, the picture will be pretty much the same. After getting the Pi, I looked at the various items I needed to buy. Cables, PSU and SD card. A quick search on ebay will throw back quite a few kits, which offer all of the accessories you need to get your Pi working in one job lot. I even found a composite to scart cable. After buying it, I have to say it’s not that amazing. In fact it didn’t seem as good as using scart on an Amiga. While some of these kits aren’t that good, if you have your wits about you, they can make setting the Pi up a lot easier then having to buy everything separate and saves on postage. The kit I bought came with a PSU rated at 5v 1000mah, scart cable, which connected to the Pi with a phone cable for picture and a headphone jack for sound. It also came with a class 4, 4gb memory card. Pre-installed with a copy of the soft-float Debian “Wheezy” OS. The scart cable was of a cheap construction and the metal shielding at one point came unstuck from the header of the cable. For £12 what can you expect? The PSU however is great and is not only useful for powering my Pi, but also my phone and HP Touchpad. Three uses in one! Not bad at all! In part 3, I plan to cover setting up your pi, what to do if your getting a grey picture on your TV and how to stretch the picture on your screen to fit better. As this blog deals with vintage and other wise rather retro topics, I thought I would post something a little different today. Lightcycles is amazing, the intro featuring the cabinet is enough to make me want one in my living room. Raise your hand if you ever wanted a Pac-Man or Space Invaders unit, glowing in a corner of your house. Beckoning you to insert another coin? I hope you all have fun with this flash game, if it proves popular, I will start making is a regular thing. In the past I have covered the Raspberry Pi only briefly, so I thought it was about time that I finally wrote a piece on this tiny computer which everyone seems to be buzzing about. For the next few blogs, I shall cover the history of the computer from inception to production and finally, what I make of it. Is it all hype? Or do we really have something that promises to get young brains thinking and finally tinkering? The concept for the Raspberry Pi was thought up by Eben Upton back in 2006. As Director of studies in computer science at Cambridge university, Upton noticed a decline in computer science skills while he was lecturing and working in admissions. This begged the question why? Past applicants who had grown up using and programming on computers such as the BBC, Spectrum, Commodore 64’s and Amiga, displayed a much better grasp of computers, than the Windows generation that now succeeded it. This new generation of computer users where not pushed to code like those who had grown up with 8 bit and 16bit computers. Figures showing a marked drop in applicants, backed up his theory that schools where not doing enough the educate pupils in programming. Which caused him to form the “Raspberry Pi Foundation“. As the Foundation’s trustee, Eben Upton enlisted the help of teachers, academics and computer enthusiasts to devise a computer to inspire children. In August 2006, fifty Alpha boards where produced, larger than the final design to accommodate debug headers. Some of these boards where used for demonstration purposes, showing the Pi abilities to run an LXDE desktop on Debian, Quake 3 at 1080P and playback of high definition MPEG-4 over HDMI. By 29th February 2012 the first batch of boards went on sale, the two official retail outlets in the UK, Premier Farnell and RS Components where overwhelmed with orders, so much that they caused servers to stall. Growing up in the 80s I remember taking books from the library with my best friend and spending evenings coding games. We might never have learned exactly what we where doing, but we did learn to recognise an “IF RUN” statement and what would happen if you changed a value in the code that related to health or ammo. In the 80s it wasn’t uncommon to find computer magazines like Zap64 & CRASH encouraging you to modify code within a game to give you extra life or to skip a level. It was all part of the fun, once you started with one game, you’d try messing with another to see if you could alter stats. By the time the 90s had come around, games written in BASIC where becoming harder to find, tho platforms such as the Amiga, offered Amos and HiBasic as languages you could learn to code your own games. Slowly as the IBM Compatible PC crept in to homes as the new home computer, the time of Public Domain libraries was slowly coming to a close. The Sony Playstation was the sought after console of the mid nineties, along with such platforms as the Nintendo Gameboy which had arrived in 89 and was still going strong. For a younger generation games were now something you played not created. I don’t ever recall seeing software for making games for the PSone yourself, nor for the Gameboy. This trend would carry on through with the Playstation 2, Game Cube and Xbox. I’ll begin this post by explaining my background in gaming with handheld consoles. Which began back in 1991, with my first Gameboy. Which was later succeeded with the Gameboy pocket and then Gameboy Colour. I was never a massive fan of the Gameboy Advance. As I always felt Nintendo had once more missed the point. The one thing all Gameboy fans where screaming for was a back-lit screen. Which wouldn’t come until the arrival of the Gameboy Advance SP. By that time, I’d lost my interest in Nintendo handhelds. The appeal of 3D games on the GBA was lost on me. My Sega Game Gear was far more fun to play, ok the screen could induce epileptic seizures, but with titles like Columns, Sonic and Shinobi, it was worth the risk. I confess when they first came out, I was too busy with my Gameboy to notice. Tho I did drool with envy at the colour screen and it’s wonderfully lit screen. How many play ground standoff’s did this cause I wonder? As many as the Atari vs Amiga debate? Who knows! Getting in to the Game Gear in 2004, made a refreshing change to gaming on the PC. With it’s simple 2D graphics, I was 13 once again. As my library of games increased, I found myself pretty much sold on the Game Gear. While Sega may have missed me in the 90’s, I was now hooked. Aliens 3, Star Trek Holodeck, Cool Spot and almost every Sonic title are amongst me GG cartridge library. becoming increasingly dimmer over time. This is due to the capacitors on the main board wearing out. Slightly apprehensive about replacing all the caps inside the GG. It came as a welcome relief to discovered someone who was offering a refurb service on Ebay. After exchanging emails, I discovered James was no stranger to consoles. With an impressive 400 serviced Game Gears already to his name. I felt happy letting him do the job. Usually I would have undertaken the task myself. However its wise to know when to stand back and bow to experience. I had two repaired sound boards to my credit, compared to James and his 400 fully refurbished consoles. refurb has made. The screen quality is vastly improved. Originally I had assumed that was how all GameGears looked. As it turned out, the failing caps where contributing to the problem. The sound is now at least 3 times louder thanks to James doing a thorough job on the sound board. He also repairs Atari Lynx consoles and was kind enough to service my Lynx II after it stopped turning on. James is worth his weight in gold and I recommend any retro gamer with a poorly console to seek his help. You will find him on ebay via his username “Gearforgames“.